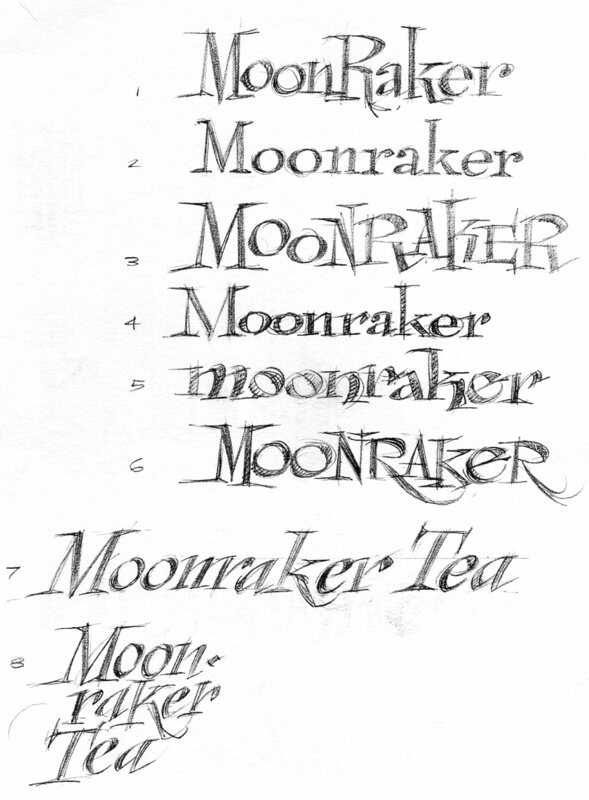 Moonraker Tea Shop is a fun, new startup on Ocracoke Island, North Carolina (the notorious pirate Blackbeard’s lair, by the powers!). 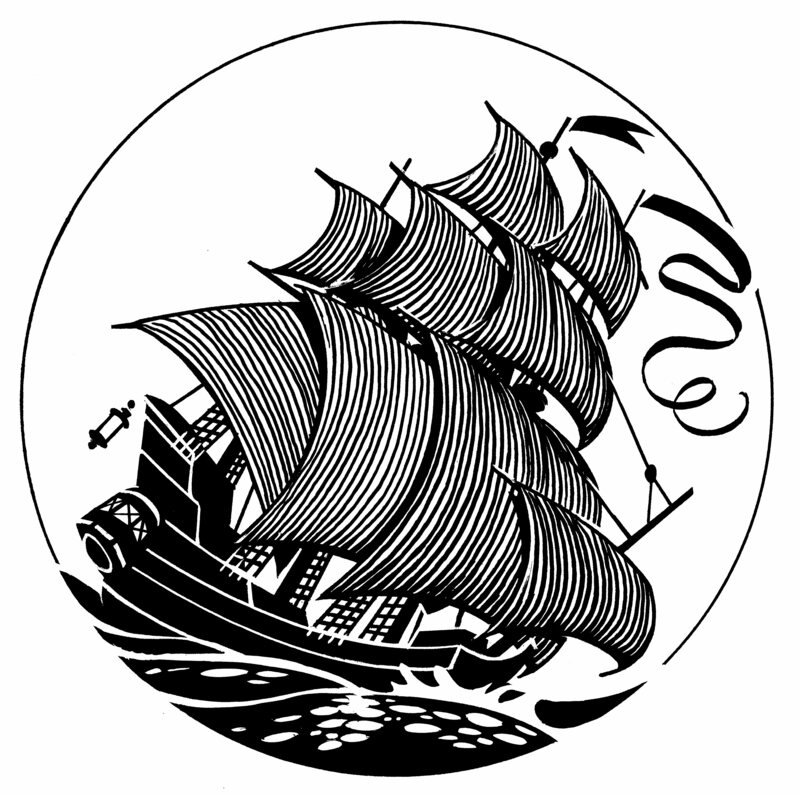 My client, Maria, opened this summer in time for the October Blackbeard’s Pirate Jamboree. Here are the designs for the sticker and banner. I’m an idiot at the computer. Luckily, Elicia at Best Printing in Oil City, Pa, is a genius designer and handled all the design aspects of this project. You can see in the gallery below how she fooled around with wrapping the lettering around the ship image and getting that just right. Elicia also came up with these nice color variations for the banner. It probably helped that she’s also a pirate afficianado. Here’s more of Best Printing. 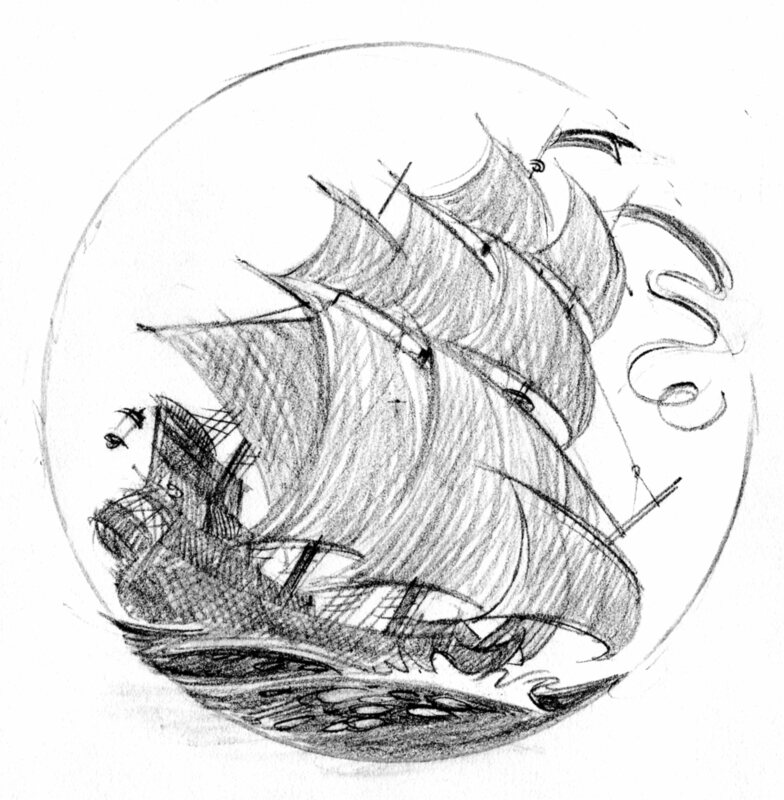 I love doing this kind of work—the daft piratey type design. You can poke around here to see more of my handlettering samples. And of course, here. Here are the tight pencils and inked-in finishes based on the rough sketches you saw in my last post. 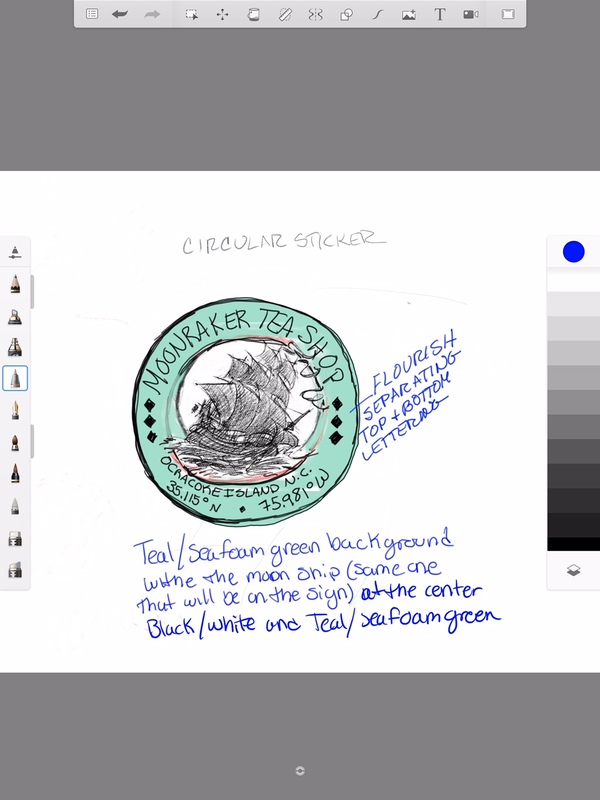 All artwork needed to work as both a small 4″ sticker and a large 6′ banner. 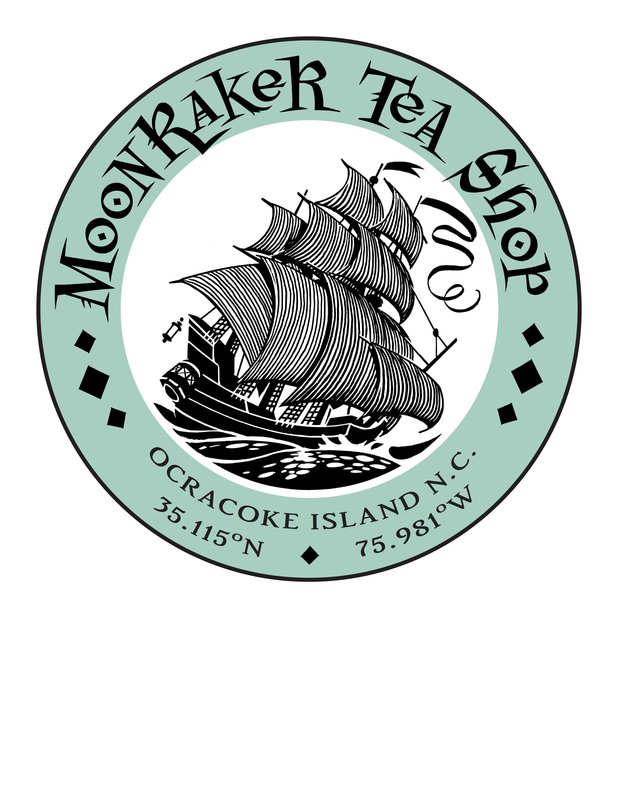 Moonraker Tea Shop is a fun, new startup on Ocracoke Island, North Carolina (the notorious pirate Blackbeard’s lair, by the powers!). 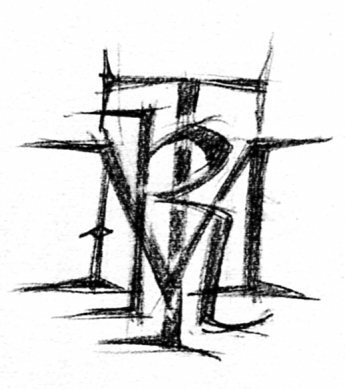 My client, Maria, opened this summer in time for the October Blackbeard’s Pirate Jamboree. 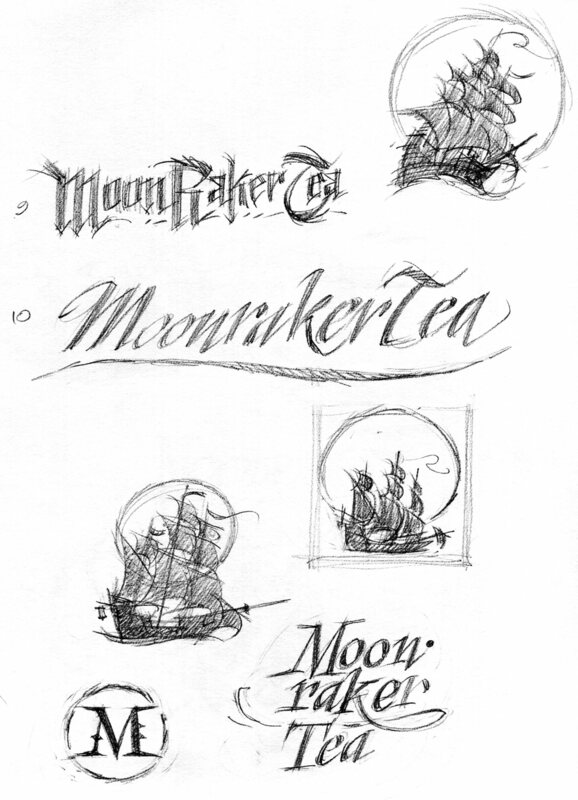 Maria asked me to design a black & white logo that features a fantasy pirate ship & moon image (dreamy, happy, ghostly, mystical) and hand-lettered ‘Moonraker Tea Shop.’ Maria chose the word ‘moonraker’ (the topsail on a ship) for her business and it evokes just the right tone.